Managing digital assets is no longer a “nice to have” but a “must have” for organizations in many industries. The rapid growth of digital media and the delayed recognition of the need to manage it, however, often catches many enterprises by surprise. Enterprises tend to have a limited understanding of the real scope and severity of just how poorly managed their digital media is and of all the work involved in producing, maintaining, or delivering their digital media products and artifacts. At a senior management level, most organizations lack the appreciation, understanding, or perspective for the severity of the problem. They don’t recognize its impact on the business and the value that DAM technology can provide. In this session, we explored the key benefits that proper digital asset management promises. 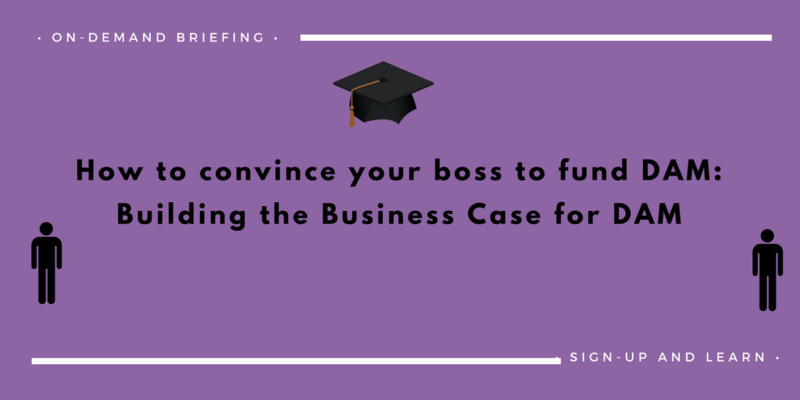 We also share with you the real story on the costs that you need to plan for when building a business case for your DAM project. "I was thrilled at the level of detail and the depth of honesty in The Digital Asset Management Research. Other research tends to want to rate a company for gold stars or magic numbers, but glosses over the real workings and customer experiences of the given vendor. This research is more valuable, and certainly more tangible than what other analysts have put forth."